The best time to teach your dog a recall is when he or she is a young puppy. When a pup is very young he or she will want to be with you, so having a puppy off the lead in a safe area shouldn’t be a problem, as they in theory will not want to go off too far from you. This time is essential in teaching the recall. Give plenty of enthusiasm and lots of praise when the pup comes to you. Ensure you give the reward with a higher pitched voice with the treats or if your dog prefers playing with toys to receiving food – then give the ball or favourite toy. When teaching the recall it does help to teach initially in the dogs familiar territory. In the home, then in the garden before you take that step of doing a recall outside on a walk! It often helps to have two people so you can play a game of calling the dog between you. This will make your dog go back and forth whilst receiving lots of attention, praise and some titbits. You can also hide on walks, (for a short period of time!!) from your dog, so you know where he is but he cannot see you. Usually dogs keep an eye on you and know where you are, so in theory the moment they don’t know where you are they will want to come looking for you! 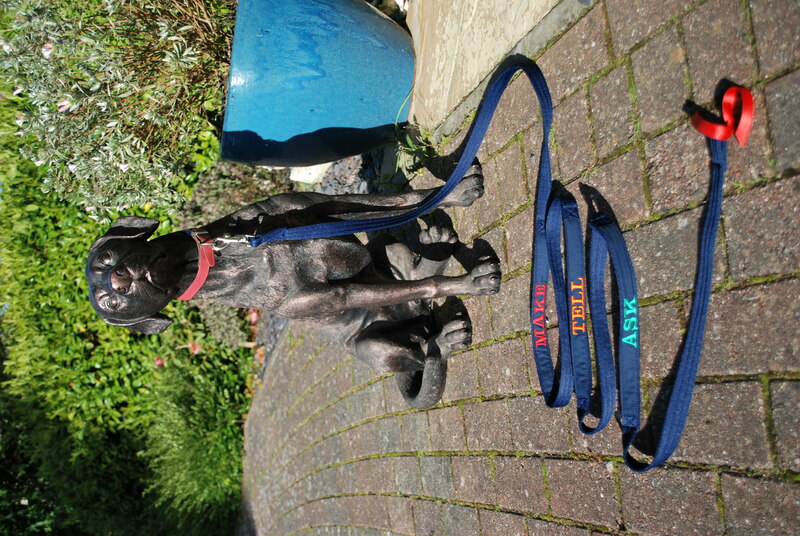 It is very important to put your dog on the lead for a few moments at regular intervals throughout the walk so they do not associate the timing of being put on the lead as to signal – either that the walk is about to finish (and they don’t want their fun to end) or that a dog is approaching that he isn’t allowed to play with (but naturally he needs to say hello!). 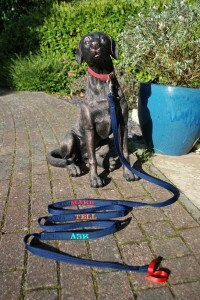 If you watch your dogs behaviour when you put the lead on (whilst on a walk! ), you may observe him looking about to see “why”? is he being put on the lead. If you are having a problem with your dogs recall – do NOT chase after your dog as this just tells the dog to run run run! You are all running but he doesn’t know why!! It does seem to be a common problem people struggle with having a solid recall with their dog. Usually as a result of the dog being distracted by something far more exciting. (another dog to play with or a great smell for them to set off and trail potentially leading to food!). If you have reached the stage whereby you are struggling. The first thing you need to do is go back to basics. At this point it can be useful to use a long line. My “Lead by Example Recall Training Line” has been designed for this purpose. This will give you reassurance that you have the means to catch your dog! Dogs known as “runners” are not enjoyable to walk. An important secret to never ever impart with your dog – is never let him find out he can run faster than you! Once a dog knows it can outrun you, this combined with a poor recall will only result in a regular drama of one kind or another. A “runner” then can then become the dog who enjoys playing “You cannot catch me” and will dance around in front of you, just out of your range for as long as it takes to catch him! aghhhhh! To note if this happens do not attempt to catch him but turn your back and ignore this bad behaviour, with just half an eye over your shoulder keeping an eye on him! All whilst he is dancing about – he is doing it to get your attention so don’t credit this behaviour by responding! 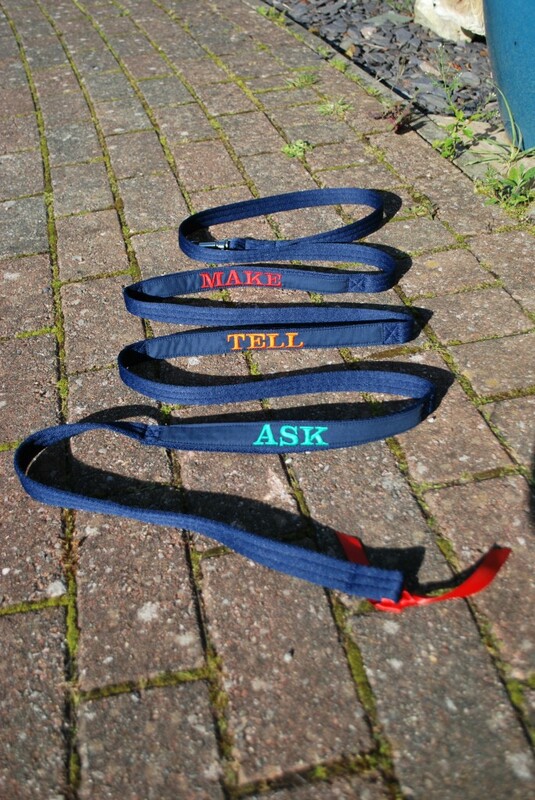 It is important to remain consistent with any training method which is why we use a mantra of ASK TELL MAKE. It works for all manner of training in dogs. This method is so easy to follow. In short it means you do not keep repeating yourself to the point you have diluted the command so it never works! BEFORE you start any training session – ONLY do training when you are in the right frame of mind. There is utterly no point doing any training if you are going to lose your patience. Keep ALL training sessions short and sweet. With the aim of keeping it positive at ALL times! With the aid of the prompts on the line, it will give you easy reminders in three easy steps. It is effective and very straightforward. The steps are colour coded in effort to help you understand to increase the command each time. This is a firm but fair method. No need for any heavy handed use of the line. Two verbal requests ONLY. This is important as to have an effective recall you actually want the dog to come on the FIRST recall, but in the learning stage you have to give your dog benefit of time to learn. ASK – The command is a request. So with a firm voice, you say “MAX” COME. Whilst at the same time you give the line a little tug. This gives your dog a clear message he or she should be making in the direction of you. TELL – This command is a direct instruction. You have already given your dog the chance to do what you request of it, but now he or she needs to know you DO actually want your dog to come to you, so you repeat the command with a bit more verbal firmness. “MAX” COME – with a more emphasis on the word COME! Again at the same time giving the lead a little tug prompting your dog to come towards you. If your dog is not coming towards you, you must then carry on to the third stage quickly – to ensure you are not diluting the command. MAKE – This basically means to ensure the instruction is acted upon. This is followed quickly from the second stage if your dog has not started to come towards you after the second command then you must start to “gather” your dog in towards you. This will ensure your dog knows what you expect from him/her. When you gather in the line (with the helpful grab handles at each stage) you will not be doing it to make your dog stumble or fall on the grass – it is simply to make sure your dog returns to you. It is so important your command is effective! Otherwise it will just become white noise and your dog will only hear blah blah with no positive action taking place! When your dog has come to you and ONLY when he is at your feet (sitting is ideal…but for another training session!) Give your dog plenty of praise. Over do it. Go crazy cuddling your dog and giving him verbal rewards. Titbits, squeaky toy or a ball. Whatever works as positive encouragement and praise for your dog doing well. Do not praise too early when your dog hasn’t quite reached you as this will teach your dog that your recall only needs to reach a certain distance “near” to you! I have had someone helpfully tell me “BUT your dog should WANT to come to you why MAKE it do it” well I have to say, if you have gone past the point of your dog not wanting to return to you – then you have to act responsibly with your dog. No-one wants a dog to be involved in a car accident or to knock a child over, or chase after sheep (to result in dead sheep/lambs or your dog) so your recall MUST be effective. A recall is essential. If you need your dog back quickly to put it back on the lead because of livestock or to have your dog return quickly to stop it from eating something that could cause harm – no matter what the reason is, it is likely to be you need your dog to come back to you at that time and not in ten minutes time (ie of the dogs choosing). If all you need is a bit of confidence whilst teaching your dog the recall – you know your dog has made good progress but you are not quite at the stage of knowing he will come back every time, then this line could be left on your dog. I would only use the line in a field where it cannot get caught up on anything. This line is NOT to be used like you would a conventional lead on pavements near the road as quite frankly this would be dangerous. You will see the line does not have a handle on it so your dog cannot become stuck on anything! This will enable you to get close enough to your dog to be able to stand on the lead. Some dogs seem to have a uncanny method in knowing exactly where the end of the lead is and making off just enough so you miss it every time. You will also note in the photo there is a red ribbon at one end of the line, IF you should require to do so, you can add a lighter piece of string to the line, to increase the length. (this is for dogs who have somehow managed to work out the precise length of the line to prevent you from standing on it to then grab your dog! This Recall Training Line is a great training aid – noting that any training to work well is based on the effort from the owner and positive reward for the dog will give a clear message in what is required. The training line is to help ensure the handler follows the easy three step process in teaching a recall.